Covering you from head to toe. For beauty junkies, there's no better feeling than coming home after a long, exhausting day to find a sparkling little box on the doorstep. While monthly beauty subscription boxes, like Birchbox and Glossybox, have gained serious popularity over the past few years, there are many that contain products other than just makeup and skin care. We've scoured the web to find the best female-focused subscription boxes that will tickle your fancy each month. 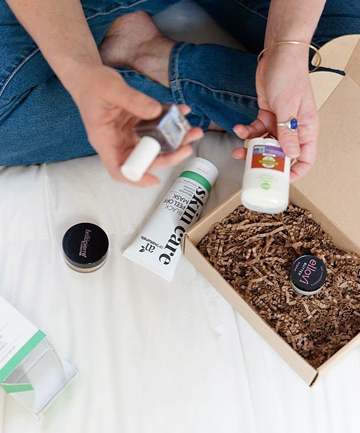 From shaving boxes to those that include feminine hygiene products, these subscriptions will have you waiting by the front door in anticipation of your next unboxing. Read on to see some of our favorite boxes and get subscribing!